$2,500 Consumer Cash (Read Full Offer Details) 2017 CHEVROLET Low Cab Forward 4500HD Diesel Not available with special finance or lease offers. Take delivery by 09-30-2016. Residency restrictions apply. See dealer for details. $2,500 Consumer Cash (Read Full Offer Details) 2017 CHEVROLET Low Cab Forward 4500XD Diesel Not available with special finance or lease offers. Take delivery by 09-30-2016. Residency restrictions apply. See dealer for details. $2,500 Consumer Cash (Read Full Offer Details) 2017 CHEVROLET Low Cab Forward 5500HD Diesel Not available with special finance or lease offers. Take delivery by 09-30-2016. Residency restrictions apply. See dealer for details. $2,500 Consumer Cash (Read Full Offer Details) 2017 CHEVROLET Low Cab Forward 5500XD Diesel Not available with special finance or lease offers. Take delivery by 09-30-2016. Residency restrictions apply. See dealer for details. 2.9% APR for 60 months (Read Full Offer Details) 2017 CHEVROLET Camaro Coupe 2.9% APR for 60 months for qualified buyers. Monthly payment is $17.92 for every $1000 you finance. Example down payment: 18%. Some customers will not qualify. Take delivery by 09-30-2016. Residency restrictions apply. See Dealer for details. 2.9% APR for 60 months (Read Full Offer Details) 2017 CHEVROLET Camaro Convertible 2.9% APR for 60 months for qualified buyers. Monthly payment is $17.92 for every $1000 you finance. Example down payment: 18%. Some customers will not qualify. Take delivery by 09-30-2016. Residency restrictions apply. See Dealer for details. 4.9% APR for 60 months (Read Full Offer Details) 2017 CHEVROLET Corvette Base 4.9% APR for 60 months for qualified buyers. Monthly payment is $18.83 for every $1000 you finance. Example down payment: 18%. Some customers will not qualify. Take delivery by 09-30-2016. Residency restrictions apply. See Dealer for details. 4.9% APR for 60 months (Read Full Offer Details) 2017 CHEVROLET Corvette Grand Sport 4.9% APR for 60 months for qualified buyers. Monthly payment is $18.83 for every $1000 you finance. Example down payment: 18%. Some customers will not qualify. Take delivery by 09-30-2016. Residency restrictions apply. See Dealer for details. 4.9% APR for 60 months (Read Full Offer Details) 2017 CHEVROLET Corvette Z51 4.9% APR for 60 months for qualified buyers. Monthly payment is $18.83 for every $1000 you finance. Example down payment: 18%. Some customers will not qualify. Take delivery by 09-30-2016. Residency restrictions apply. See Dealer for details. $250 Consumer Cash (Read Full Offer Details) 2017 CHEVROLET Cruze excludes L Preferred Equipment Group Not available with special finance or lease offers. Take delivery by 09-30-2016. Residency restrictions apply. See dealer for details. 3.9% APR for 60 months (Read Full Offer Details) 2017 CHEVROLET Cruze excludes L Preferred Equipment Group 3.9% APR for 60 months for qualified buyers. Monthly payment is $18.37 for every $1000 you finance. Example down payment: 18%. Some customers will not qualify. Take delivery by 09-30-2016. Residency restrictions apply. See Dealer for details. 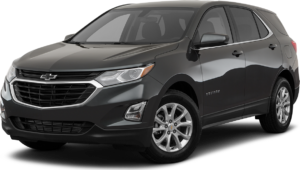 $500 Consumer Cash (Read Full Offer Details) 2017 CHEVROLET Equinox excludes L Preferred Equipment Group Not available with special finance or lease offers. Take delivery by 09-30-2016. Residency restrictions apply. See dealer for details. 3.9% APR for 60 months (Read Full Offer Details) 2017 CHEVROLET Equinox excludes L Preferred Equipment Group 3.9% APR for 60 months for qualified buyers. Monthly payment is $18.37 for every $1000 you finance. Example down payment: 18%. Some customers will not qualify. Take delivery by 09-30-2016. Residency restrictions apply. See Dealer for details. $500 Consumer Cash (Read Full Offer Details) 2017 CHEVROLET Express Cargo 3500 Not available with special finance or lease offers. Take delivery by 09-30-2016. Residency restrictions apply. See dealer for details. 3.9% APR for 60 months (Read Full Offer Details) 2017 CHEVROLET Express Cargo 3500 3.9% APR for 60 months for qualified buyers. Monthly payment is $18.37 for every $1000 you finance. Example down payment: 18%. Some customers will not qualify. Take delivery by 09-30-2016. Residency restrictions apply. See Dealer for details. $500 Consumer Cash (Read Full Offer Details) 2017 CHEVROLET Express Cargo 2500 Not available with special finance or lease offers. Take delivery by 09-30-2016. Residency restrictions apply. See dealer for details. 3.9% APR for 60 months (Read Full Offer Details) 2017 CHEVROLET Express Cargo 2500 3.9% APR for 60 months for qualified buyers. Monthly payment is $18.37 for every $1000 you finance. Example down payment: 18%. Some customers will not qualify. Take delivery by 09-30-2016. Residency restrictions apply. See Dealer for details. $500 Consumer Cash (Read Full Offer Details) 2017 CHEVROLET Express Commercial Cutaway Not available with special finance or lease offers. Take delivery by 09-30-2016. Residency restrictions apply. See dealer for details. 3.9% APR for 60 months (Read Full Offer Details) 2017 CHEVROLET Express Commercial Cutaway 3.9% APR for 60 months for qualified buyers. Monthly payment is $18.37 for every $1000 you finance. Example down payment: 18%. Some customers will not qualify. Take delivery by 09-30-2016. Residency restrictions apply. See Dealer for details. $500 Consumer Cash (Read Full Offer Details) 2017 CHEVROLET Express Passenger Not available with special finance or lease offers. Take delivery by 09-30-2016. Residency restrictions apply. See dealer for details. 3.9% APR for 60 months (Read Full Offer Details) 2017 CHEVROLET Express Passenger 3.9% APR for 60 months for qualified buyers. Monthly payment is $18.37 for every $1000 you finance. Example down payment: 18%. Some customers will not qualify. Take delivery by 09-30-2016. Residency restrictions apply. See Dealer for details. 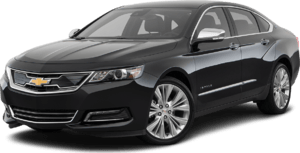 $500 Consumer Cash (Read Full Offer Details) 2017 CHEVROLET Impala Not available with special finance or lease offers. Take delivery by 09-30-2016. Residency restrictions apply. See dealer for details. 0% APR for 60 months (Read Full Offer Details) 2017 CHEVROLET Impala LS Preferred Equipment Group 0% APR for 60 months for qualified buyers. Monthly payment is $16.67 for every $1000 you finance. Example down payment: 18%. Some customers will not qualify. Take delivery by 09-30-2016. Residency restrictions apply. See Dealer for details. 0% APR for 60 months (Read Full Offer Details) 2017 CHEVROLET Impala 0% APR for 60 months for qualified buyers. Monthly payment is $16.67 for every $1000 you finance. Example down payment: 18%. Some customers will not qualify. Take delivery by 09-30-2016. Residency restrictions apply. See Dealer for details. $500 Consumer Cash (Read Full Offer Details) 2017 CHEVROLET Malibu excludes L Preferred equipment group Not available with special finance or lease offers. Take delivery by 09-30-2016. Residency restrictions apply. See dealer for details. 3.9% APR for 60 months (Read Full Offer Details) 2017 CHEVROLET Malibu excludes L Preferred equipment group 3.9% APR for 60 months for qualified buyers. Monthly payment is $18.37 for every $1000 you finance. Example down payment: 18%. Some customers will not qualify. Take delivery by 09-30-2016. Residency restrictions apply. See Dealer for details. 3.9% APR for 60 months (Read Full Offer Details) 2017 CHEVROLET Silverado 1500 3.9% APR for 60 months for qualified buyers. Monthly payment is $18.37 for every $1000 you finance. Example down payment: 18%. Some customers will not qualify. Take delivery by 09-30-2016. Residency restrictions apply. See Dealer for details. 3.9% APR for 60 months (Read Full Offer Details) 2017 CHEVROLET Sonic Sedan 3.9% APR for 60 months for qualified buyers. Monthly payment is $18.37 for every $1000 you finance. Example down payment: 18%. Some customers will not qualify. Take delivery by 09-30-2016. Residency restrictions apply. See Dealer for details. 3.9% APR for 60 months (Read Full Offer Details) 2017 CHEVROLET Sonic 5-Door 3.9% APR for 60 months for qualified buyers. Monthly payment is $18.37 for every $1000 you finance. Example down payment: 18%. Some customers will not qualify. Take delivery by 09-30-2016. Residency restrictions apply. See Dealer for details. 3.9% APR for 60 months (Read Full Offer Details) 2017 CHEVROLET Spark 3.9% APR for 60 months for qualified buyers. Monthly payment is $18.37 for every $1000 you finance. Example down payment: 18%. Some customers will not qualify. Take delivery by 09-30-2016. Residency restrictions apply. See Dealer for details. 2.9% APR for 60 months (Read Full Offer Details) 2017 CHEVROLET Suburban 2.9% APR for 60 months for qualified buyers. Monthly payment is $17.92 for every $1000 you finance. Example down payment: 18%. Some customers will not qualify. Take delivery by 09-30-2016. Residency restrictions apply. See Dealer for details. 2.9% APR for 60 months (Read Full Offer Details) 2017 CHEVROLET Tahoe 2.9% APR for 60 months for qualified buyers. Monthly payment is $17.92 for every $1000 you finance. Example down payment: 18%. Some customers will not qualify. Take delivery by 09-30-2016. Residency restrictions apply. See Dealer for details. 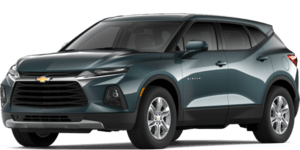 $500 Consumer Cash (Read Full Offer Details) 2017 CHEVROLET Traverse excludes LS Base Preferred Equipment Group Not available with special finance or lease offers. Take delivery by 09-30-2016. Residency restrictions apply. See dealer for details. 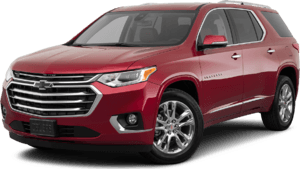 2.9% APR for 60 months (Read Full Offer Details) 2017 CHEVROLET Traverse excludes LS Base Preferred Equipment Group 2.9% APR for 60 months for qualified buyers. Monthly payment is $17.92 for every $1000 you finance. Example down payment: 18%. Some customers will not qualify. Take delivery by 09-30-2016. Residency restrictions apply. See Dealer for details. 2.9% APR for 60 months (Read Full Offer Details) 2017 CHEVROLET Trax 2.9% APR for 60 months for qualified buyers. Monthly payment is $17.92 for every $1000 you finance. Example down payment: 18%. Some customers will not qualify. Take delivery by 09-30-2016. Residency restrictions apply. See Dealer for details. 0% APR for 60 months (Read Full Offer Details) 2017 CHEVROLET Volt 0% APR for 60 months for qualified buyers. Monthly payment is $16.67 for every $1000 you finance. Example down payment: 18%. Some customers will not qualify. Take delivery by 09-30-2016. Residency restrictions apply. See Dealer for details. $1,250 Consumer Cash (Read Full Offer Details) 2016 CHEVROLET Low Cab Forward 3500 Gas Not available with special finance or lease offers. Take delivery by 09-30-2016. Residency restrictions apply. See dealer for details. $2,500 Consumer Cash (Read Full Offer Details) 2016 CHEVROLET Low Cab Forward 3500HD Diesel Not available with special finance or lease offers. Take delivery by 09-30-2016. Residency restrictions apply. See dealer for details. $1,250 Consumer Cash (Read Full Offer Details) 2016 CHEVROLET Low Cab Forward 4500 Gas Not available with special finance or lease offers. Take delivery by 09-30-2016. Residency restrictions apply. See dealer for details. 2.9% APR for 60 months (Read Full Offer Details) 2016 CHEVROLET Camaro Coupe 2.9% APR for 60 months for qualified buyers. Monthly payment is $17.92 for every $1000 you finance. Example down payment: 18%. Some customers will not qualify. Take delivery by 09-30-2016. Residency restrictions apply. See Dealer for details. 2.9% APR for 60 months (Read Full Offer Details) 2016 CHEVROLET Camaro Convertible 2.9% APR for 60 months for qualified buyers. Monthly payment is $17.92 for every $1000 you finance. Example down payment: 18%. Some customers will not qualify. Take delivery by 09-30-2016. Residency restrictions apply. See Dealer for details. $1,000 Consumer Cash (Read Full Offer Details) 2016 CHEVROLET City Express Cargo Van Not available with special finance or lease offers. Take delivery by 09-30-2016. Residency restrictions apply. See dealer for details. 0% APR for 60 months (Read Full Offer Details) 2016 CHEVROLET City Express Cargo Van 0% APR for 60 months for qualified buyers. Monthly payment is $16.67 for every $1000 you finance. Example down payment: 18%. Some customers will not qualify. Take delivery by 09-30-2016. Residency restrictions apply. See Dealer for details. 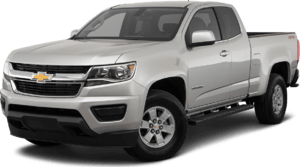 $500 Consumer Cash (Read Full Offer Details) 2016 CHEVROLET Colorado excludes Base Not available with special finance or lease offers. Take delivery by 09-30-2016. Residency restrictions apply. See dealer for details. 2.9% APR for 60 months (Read Full Offer Details) 2016 CHEVROLET Colorado excludes Base 2.9% APR for 60 months for qualified buyers. Monthly payment is $17.92 for every $1000 you finance. Example down payment: 18%. Some customers will not qualify. Take delivery by 09-30-2016. Residency restrictions apply. See Dealer for details. 3.9% APR for 60 months (Read Full Offer Details) 2016 CHEVROLET Corvette Z51 3.9% APR for 60 months for qualified buyers. Monthly payment is $18.37 for every $1000 you finance. Example down payment: 18%. Some customers will not qualify. Take delivery by 09-30-2016. Residency restrictions apply. See Dealer for details. 3.9% APR for 60 months (Read Full Offer Details) 2016 CHEVROLET Corvette Base 3.9% APR for 60 months for qualified buyers. Monthly payment is $18.37 for every $1000 you finance. Example down payment: 18%. Some customers will not qualify. Take delivery by 09-30-2016. Residency restrictions apply. See Dealer for details. 3.9% APR for 60 months (Read Full Offer Details) 2016 CHEVROLET Corvette Z06 3.9% APR for 60 months for qualified buyers. Monthly payment is $18.37 for every $1000 you finance. Example down payment: 18%. Some customers will not qualify. Take delivery by 09-30-2016. Residency restrictions apply. See Dealer for details. $1,000 Consumer Cash (Read Full Offer Details) 2016 CHEVROLET Cruze (excluding Limited) excludes L Model Not available with special finance or lease offers. Take delivery by 09-30-2016. Residency restrictions apply. See dealer for details. 1.9% APR for 48 months (Read Full Offer Details) 2016 CHEVROLET Cruze (excluding Limited) excludes L Model 1.9% APR for 48 months for qualified buyers. Monthly payment is $21.65 for every $1000 you finance. Example down payment: 18%. Some customers will not qualify. Take delivery by 09-30-2016. Residency restrictions apply. See Dealer for details. 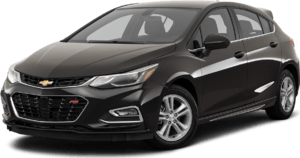 $1,000 Consumer Cash (Read Full Offer Details) 2016 CHEVROLET Cruze Limited excludes L Model Not available with special finance or lease offers. Take delivery by 09-30-2016. Residency restrictions apply. See dealer for details. 0% APR for 60 months (Read Full Offer Details) 2016 CHEVROLET Cruze Limited excludes L Model 0% APR for 60 months for qualified buyers. Monthly payment is $16.67 for every $1000 you finance. Example down payment: 18%. Some customers will not qualify. Take delivery by 09-30-2016. Residency restrictions apply. See Dealer for details. $1,000 Consumer Cash (Read Full Offer Details) 2016 CHEVROLET Equinox excludes L Model Not available with special finance or lease offers. Take delivery by 09-30-2016. Residency restrictions apply. See dealer for details. 2.9% APR for 60 months (Read Full Offer Details) 2016 CHEVROLET Equinox excludes L Model 2.9% APR for 60 months for qualified buyers. Monthly payment is $17.92 for every $1000 you finance. Example down payment: 18%. Some customers will not qualify. Take delivery by 09-30-2016. Residency restrictions apply. See Dealer for details. $1,250 Consumer Cash (Read Full Offer Details) 2016 CHEVROLET Express Cargo 3500 Not available with special finance or lease offers. Take delivery by 09-30-2016. Residency restrictions apply. See dealer for details. 2.9% APR for 60 months (Read Full Offer Details) 2016 CHEVROLET Express Cargo 3500 2.9% APR for 60 months for qualified buyers. Monthly payment is $17.92 for every $1000 you finance. Example down payment: 18%. Some customers will not qualify. Take delivery by 09-30-2016. Residency restrictions apply. See Dealer for details. $1,250 Consumer Cash (Read Full Offer Details) 2016 CHEVROLET Express Cargo 2500 Not available with special finance or lease offers. Take delivery by 09-30-2016. Residency restrictions apply. See dealer for details. 2.9% APR for 60 months (Read Full Offer Details) 2016 CHEVROLET Express Cargo 2500 2.9% APR for 60 months for qualified buyers. Monthly payment is $17.92 for every $1000 you finance. Example down payment: 18%. Some customers will not qualify. Take delivery by 09-30-2016. Residency restrictions apply. See Dealer for details. $1,250 Consumer Cash (Read Full Offer Details) 2016 CHEVROLET Express Commercial Cutaway Not available with special finance or lease offers. Take delivery by 09-30-2016. Residency restrictions apply. See dealer for details. 2.9% APR for 60 months (Read Full Offer Details) 2016 CHEVROLET Express Commercial Cutaway 2.9% APR for 60 months for qualified buyers. Monthly payment is $17.92 for every $1000 you finance. Example down payment: 18%. Some customers will not qualify. Take delivery by 09-30-2016. Residency restrictions apply. See Dealer for details. $1,250 Consumer Cash (Read Full Offer Details) 2016 CHEVROLET Express Passenger 3500 Not available with special finance or lease offers. Take delivery by 09-30-2016. Residency restrictions apply. See dealer for details. 2.9% APR for 60 months (Read Full Offer Details) 2016 CHEVROLET Express Passenger 3500 2.9% APR for 60 months for qualified buyers. Monthly payment is $17.92 for every $1000 you finance. Example down payment: 18%. Some customers will not qualify. Take delivery by 09-30-2016. Residency restrictions apply. See Dealer for details. $1,250 Consumer Cash (Read Full Offer Details) 2016 CHEVROLET Express Passenger 2500 Not available with special finance or lease offers. Take delivery by 09-30-2016. Residency restrictions apply. See dealer for details. 2.9% APR for 60 months (Read Full Offer Details) 2016 CHEVROLET Express Passenger 2500 2.9% APR for 60 months for qualified buyers. Monthly payment is $17.92 for every $1000 you finance. Example down payment: 18%. Some customers will not qualify. Take delivery by 09-30-2016. Residency restrictions apply. See Dealer for details. $2,000 Consumer Cash (Read Full Offer Details) 2016 CHEVROLET Impala (excluding Limited) Not available with special finance or lease offers. Take delivery by 09-30-2016. Residency restrictions apply. See dealer for details. 0% APR for 60 months (Read Full Offer Details) 2016 CHEVROLET Impala (excluding Limited) 0% APR for 60 months for qualified buyers. Monthly payment is $16.67 for every $1000 you finance. Example down payment: 18%. Some customers will not qualify. Take delivery by 09-30-2016. Residency restrictions apply. See Dealer for details. $1,000 Consumer Cash (Read Full Offer Details) 2016 CHEVROLET Malibu (excluding Limited) excludes Preferred equipment group Not available with special finance or lease offers. Take delivery by 09-30-2016. Residency restrictions apply. See dealer for details. 2.9% APR for 60 months (Read Full Offer Details) 2016 CHEVROLET Malibu (excluding Limited) excludes Preferred equipment group 2.9% APR for 60 months for qualified buyers. Monthly payment is $17.92 for every $1000 you finance. Example down payment: 18%. Some customers will not qualify. Take delivery by 09-30-2016. Residency restrictions apply. See Dealer for details. $1,500 Consumer Cash (Read Full Offer Details) 2016 CHEVROLET Malibu Limited Not available with special finance or lease offers. Take delivery by 09-30-2016. Residency restrictions apply. See dealer for details. 0% APR for 60 months (Read Full Offer Details) 2016 CHEVROLET Malibu Limited 0% APR for 60 months for qualified buyers. Monthly payment is $16.67 for every $1000 you finance. Example down payment: 18%. Some customers will not qualify. Take delivery by 09-30-2016. Residency restrictions apply. See Dealer for details. $1,500 Consumer Cash +$1,000 Purchase Bonus Cash $2,500 Total Cash Allowance (Read Full Offer Details) 2016 CHEVROLET Silverado 1500 Regular Cab Not available with special finance or lease offers. Take delivery by 09-30-2016. Residency restrictions apply. See dealer for details. $1,500 Consumer Cash +$1,000 Purchase Bonus Cash $2,500 Total Cash Allowance (Read Full Offer Details) 2016 CHEVROLET Silverado 1500 Double Cab Not available with special finance or lease offers. Take delivery by 09-30-2016. Residency restrictions apply. See dealer for details. 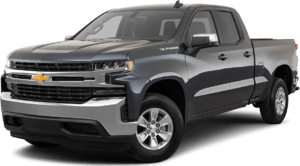 $1,000 Consumer Cash +$2,000 Purchase Bonus Cash $3,000 Total Cash Allowance (Read Full Offer Details) 2016 CHEVROLET Silverado 1500 Crew Cab Not available with special finance or lease offers. Take delivery by 09-30-2016. Residency restrictions apply. See dealer for details. 2.9% APR for 60 months Plus $2,000 Purchase Bonus Cash (Read Full Offer Details) 2016 CHEVROLET Silverado 1500 Crew Cab 2.9% APR for 60 months for qualified buyers. Monthly payment is $17.92 for every $1000 you finance. Example down payment: 18%. Some customers will not qualify. Take delivery by 09-30-2016. Residency restrictions apply. See Dealer for details. 2.9% APR for 60 months Plus $1,000 Purchase Bonus Cash (Read Full Offer Details) 2016 CHEVROLET Silverado 1500 excludes Crew Cab 2.9% APR for 60 months for qualified buyers. Monthly payment is $17.92 for every $1000 you finance. Example down payment: 18%. Some customers will not qualify. Take delivery by 09-30-2016. Residency restrictions apply. See Dealer for details. 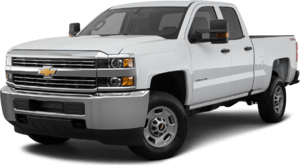 $2,000 Consumer Cash (Read Full Offer Details) 2016 CHEVROLET Silverado 2500HD Not available with special finance or lease offers. Take delivery by 09-30-2016. Residency restrictions apply. See dealer for details. 2.9% APR for 60 months (Read Full Offer Details) 2016 CHEVROLET Silverado 2500HD 2.9% APR for 60 months for qualified buyers. Monthly payment is $17.92 for every $1000 you finance. Example down payment: 18%. Some customers will not qualify. Take delivery by 09-30-2016. Residency restrictions apply. See Dealer for details. $2,000 Consumer Cash (Read Full Offer Details) 2016 CHEVROLET Silverado 3500HD Not available with special finance or lease offers. Take delivery by 09-30-2016. Residency restrictions apply. See dealer for details. 2.9% APR for 60 months (Read Full Offer Details) 2016 CHEVROLET Silverado 3500HD 2.9% APR for 60 months for qualified buyers. Monthly payment is $17.92 for every $1000 you finance. Example down payment: 18%. Some customers will not qualify. Take delivery by 09-30-2016. Residency restrictions apply. See Dealer for details. 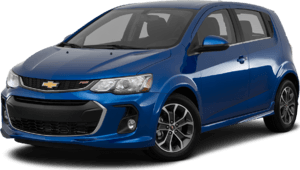 $500 Consumer Cash +$1,000 Purchase Bonus Cash $1,500 Total Cash Allowance (Read Full Offer Details) 2016 CHEVROLET Sonic Sedan Not available with special finance or lease offers. Take delivery by 09-30-2016. Residency restrictions apply. See dealer for details. 2.9% APR for 60 months Plus $1,000 Purchase Bonus Cash (Read Full Offer Details) 2016 CHEVROLET Sonic Sedan 2.9% APR for 60 months for qualified buyers. Monthly payment is $17.92 for every $1000 you finance. Example down payment: 18%. Some customers will not qualify. Take delivery by 09-30-2016. Residency restrictions apply. See Dealer for details. $500 Consumer Cash +$1,000 Purchase Bonus Cash $1,500 Total Cash Allowance (Read Full Offer Details) 2016 CHEVROLET Sonic 5-Door Not available with special finance or lease offers. Take delivery by 09-30-2016. Residency restrictions apply. See dealer for details. 2.9% APR for 60 months Plus $1,000 Purchase Bonus Cash (Read Full Offer Details) 2016 CHEVROLET Sonic 5-Door 2.9% APR for 60 months for qualified buyers. Monthly payment is $17.92 for every $1000 you finance. Example down payment: 18%. Some customers will not qualify. Take delivery by 09-30-2016. Residency restrictions apply. See Dealer for details. $1,000 Purchase Bonus Cash (Read Full Offer Details) 2016 CHEVROLET Spark (excluding EV) Not available with special finance or lease offers. Take delivery by 09-30-2016. Residency restrictions apply. See dealer for details. 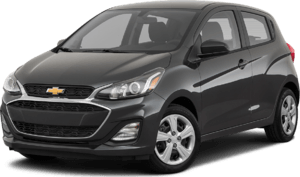 2.9% APR for 60 months Plus $1,000 Purchase Bonus Cash (Read Full Offer Details) 2016 CHEVROLET Spark (excluding EV) 2.9% APR for 60 months for qualified buyers. Monthly payment is $17.92 for every $1000 you finance. Example down payment: 18%. Some customers will not qualify. Take delivery by 09-30-2016. Residency restrictions apply. See Dealer for details. 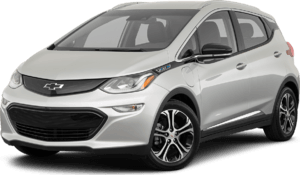 $1,000 Purchase Bonus Cash (Read Full Offer Details) 2016 CHEVROLET Spark EV Not available with special finance or lease offers. Take delivery by 09-30-2016. Residency restrictions apply. See dealer for details. $500 Consumer Cash (Read Full Offer Details) 2016 CHEVROLET SS Not available with special finance or lease offers. Take delivery by 09-30-2016. Residency restrictions apply. See dealer for details. 3.9% APR for 60 months (Read Full Offer Details) 2016 CHEVROLET SS 3.9% APR for 60 months for qualified buyers. Monthly payment is $18.37 for every $1000 you finance. Example down payment: 18%. Some customers will not qualify. Take delivery by 09-30-2016. Residency restrictions apply. See Dealer for details. 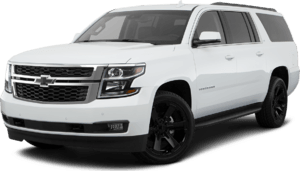 $1,000 Consumer Cash (Read Full Offer Details) 2016 CHEVROLET Suburban Not available with special finance or lease offers. Take delivery by 09-30-2016. Residency restrictions apply. See dealer for details. 2.9% APR for 60 months (Read Full Offer Details) 2016 CHEVROLET Suburban 2.9% APR for 60 months for qualified buyers. Monthly payment is $17.92 for every $1000 you finance. Example down payment: 18%. Some customers will not qualify. Take delivery by 09-30-2016. Residency restrictions apply. See Dealer for details. 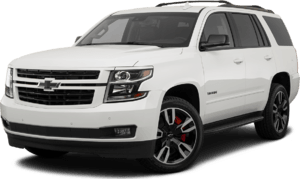 $1,000 Consumer Cash (Read Full Offer Details) 2016 CHEVROLET Tahoe Not available with special finance or lease offers. Take delivery by 09-30-2016. Residency restrictions apply. See dealer for details. 2.9% APR for 60 months (Read Full Offer Details) 2016 CHEVROLET Tahoe 2.9% APR for 60 months for qualified buyers. Monthly payment is $17.92 for every $1000 you finance. Example down payment: 18%. Some customers will not qualify. Take delivery by 09-30-2016. Residency restrictions apply. See Dealer for details. $1,000 Consumer Cash (Read Full Offer Details) 2016 CHEVROLET Traverse excludes Base LS Preferred Equipment Group Not available with special finance or lease offers. Take delivery by 09-30-2016. Residency restrictions apply. See dealer for details. 0% APR for 60 months (Read Full Offer Details) 2016 CHEVROLET Traverse excludes Base LS Preferred Equipment Group 0% APR for 60 months for qualified buyers. Monthly payment is $16.67 for every $1000 you finance. Example down payment: 18%. Some customers will not qualify. Take delivery by 09-30-2016. Residency restrictions apply. See Dealer for details. 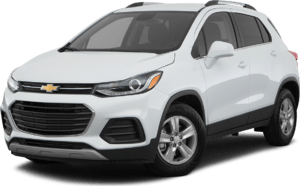 $500 Consumer Cash +$500 Purchase Bonus Cash $1,000 Total Cash Allowance (Read Full Offer Details) 2016 CHEVROLET Trax Not available with special finance or lease offers. Take delivery by 09-30-2016. Residency restrictions apply. See dealer for details. 2.9% APR for 60 months Plus $500 Purchase Bonus Cash (Read Full Offer Details) 2016 CHEVROLET Trax 2.9% APR for 60 months for qualified buyers. Monthly payment is $17.92 for every $1000 you finance. Example down payment: 18%. Some customers will not qualify. Take delivery by 09-30-2016. Residency restrictions apply. See Dealer for details. 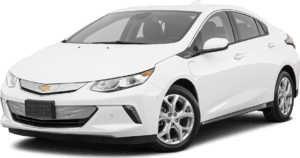 0% APR for 60 months (Read Full Offer Details) 2016 CHEVROLET Volt 0% APR for 60 months for qualified buyers. Monthly payment is $16.67 for every $1000 you finance. Example down payment: 18%. Some customers will not qualify. Take delivery by 09-30-2016. Residency restrictions apply. See Dealer for details.